​The GGDOT project started from our curiosity to know the greenhouse gas emissions and nutrition of our food choices. We combined our expertise in greenhouse gas emission calculations, nutrition and data handling to create a preliminary toolkit to make this easier. We're now developing these tools in collaboration with academics and beyond through a series of hacknights, with the aim of making these tools publicly available. Greehouse Gas Emissions Card Game - download, print and send feedback! We developed these cards to allow people to quickly see greenhouse gas emissions from different foods. Download them here! To play: Deal out an equal number of cards (e.g. 5) per player. The lead player looks at their top card and chooses a category. Players compare numbers for that category and the highest number wins. Lots of you have asked to buy them - we're investigating printers and collecting your feedback ahead of doing a run. The GGDOT Hacknights aim to bring together academic researchers from data science with food experts from nutrition, psychology and greenhouse gas emissions. We are next hacking on Thursday 29th November at the University of York - sign up here to register. The first Greenhouse Gas and Dietary choices Open source Toolkit (GGDOT) Hacknight took place on 12th June hosted by Liverpool John Moores University, to coincide with the N8 Agrifood Annual Conference. Over 30 people attended and got through at least 15 large pizzas and gave 6 presentations of the results of their code and ideas hacking. You can see the slides shown to participants here. We also hacked on Friday 29th June hosted by the STFC Food Network+ Annual Meeting at the University of Sheffield, in September at the University of Manchester and in October at the University of Durham. We are working together with experts from food and data analysis to run GGDOT Hacknights, funded by N8 Agrifood, including Emma Foster (University of Newcastle), Ximena Schmidt (University of Manchester), Mark Green (University of Liverpool), Harriet Smith (University of Leeds), Michael Zulyniak (University of Leeds), Wendy Wriden (University of Newcastle) and Dale Mellor (University of Manchester). The project benefits from the many inputs from participants at the hacknights. ​Sarah is a Professor of Astrophysics at the University of Manchester, UK. Most of her work so far has focussed on trying to uncover the nature of dark energy using gravitational lensing - the bending of light by dark matter. She has won prestigious awards in the UK and Europe and is author of over 70 refereed publications which have over 3500 citations. Motivated by the need to reduce global greenhouse gas emissions, she is trying to understand how to reduce the impact of food on climate change. She leads the STFC Food Network+. 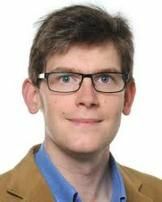 Christian is a Knowledge Exchange Research Fellow for the N8 AgriFood project, based at the Department of Geography, University of Sheffield. Christian’s research examines the economic and environmental impacts of food consumption; with focus upon food waste, sustainable diets, and the political power of food in international relations. Christian is currently on secondment at the Waste and Resources Action Programme (WRAP) with a focus on healthy sustainable eating and food waste. Joe did a PhD on aphid behaviour in the Lancaster Environment Centre at the University of Lancaster, using image analysis techniques to understand the impact of different lighting conditions to control aphid infestation. Joe is now working on improving crop yield by analysing data from microscope, drone and satellite images, including using techniques used in astrophysics, while based at the Jodrell Bank Center for Astrophysics at the University of Manchester. Joe coordinates the JBCA Hacknight programme. ​Ximena is a Research Associate in the School of Chemical Engineering and Analytical Science at the University of Manchester. Since 2015, she has worked within the Centre for Sustainable Energy Use in the Food Supply Chain (CSEF), where she specializes in the sustainability of different food products, their supply chains and alternative fuels. Her PhD research focused on using life cycle assessment methodologies to assess environmental, economic and social sustainability of the UK convenience food sector. Ximena’s broader research interests relate to sustainable food supply chains and circular economy, pathways to waste and energy reduction in agriculture and industrial processes and sustainable diets. Join our mailing list to learn about the latest news and updates, and how you can contribute to GGDOT! By clicking "Submit" you consent to us storing your details and emailing you with updates about the GGDOT project.